Watch out, the new strict overstay rules have now for the first time been officially confirmed by Thai immigration and will reportedly go into effect in just a bit over two months. According to the new rules, foreigners who overstay their visa in Thailand face getting blacklisted from re-entering the kingdom for 1-10 years depending on a) whether they make it to an airport and report themselves to immigration officials, or they get apprehended while staying in the country, and b) the length of their overstay. We reported earlier that the new tightened rules were expected to take effect sometime in late March or early April this year. 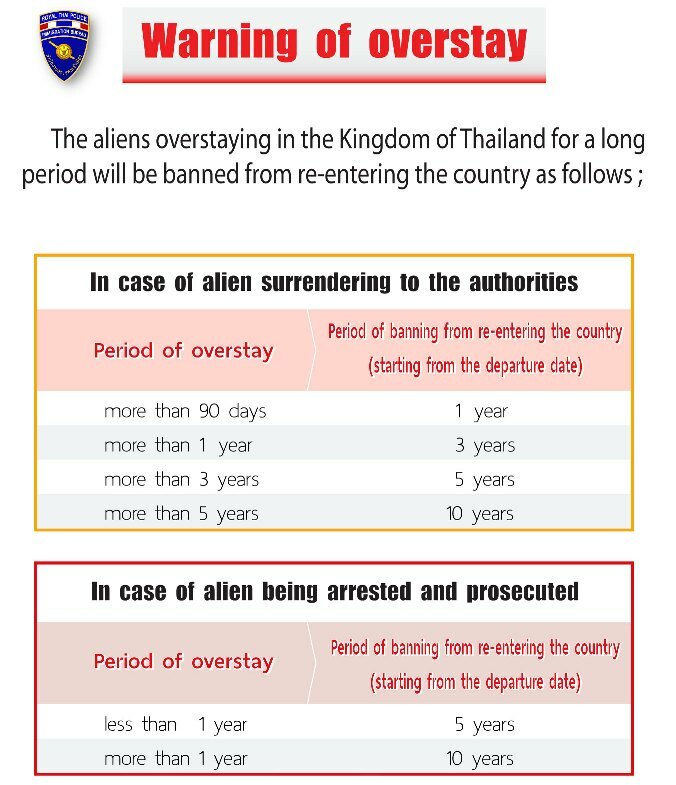 According to a post on Thaivisa.com, it appears now that the new overstay rules will go into effect on March 20, 2016. UPDATE – Thai immigration have now also confirmed on their website that the new overstay rules would take effect on March 20. To get their message across effectively, creative minds at the immigration bureau have gone as far as releasing a cartoon clip explaining the new rules in full detail. It’s funny in more ways than one.